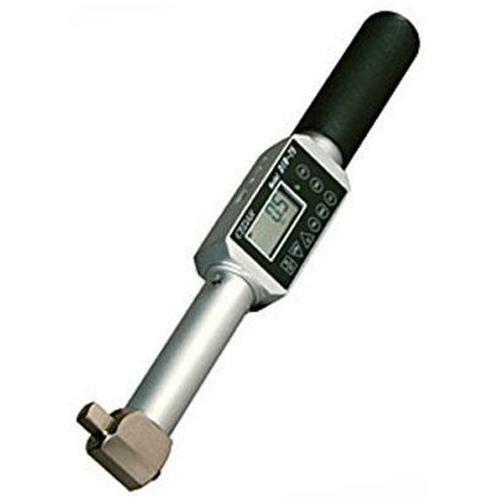 DIW-75 is an extremely lightweight digital torque wrench that tightens or loosens bolts up to 660 lbf-in. The wrench head swivels 300° and can be used in tight places. Torque controlled wrenches can also be evaluated by comparative tests on a given fastener. Both breakaway and loosen tests can be performed. Rugged enough to be used in production. This tester has an accuracy of ±0.5%, ± 1 LSD and offers a programmable setpoint for uniform tightening or Go/No Go testing. Peak and continuous data can be downloaded via the USB port.